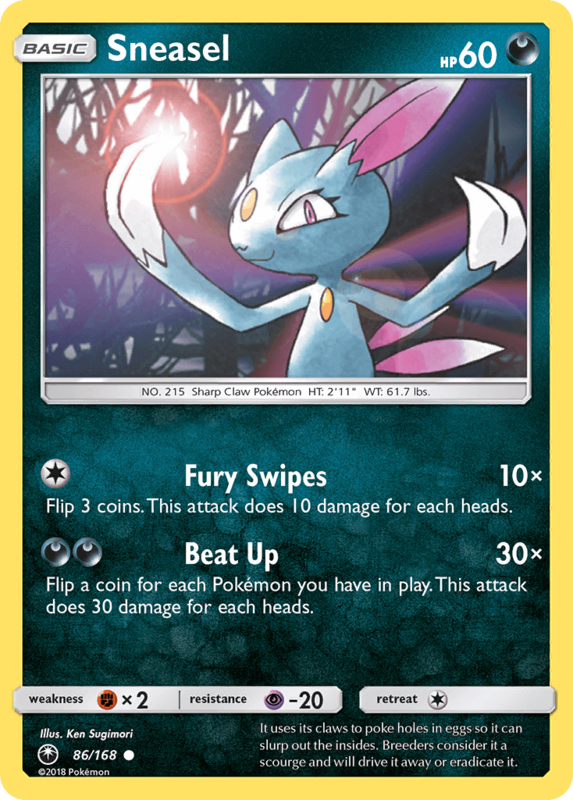 Nosredna is correct; this Sneasel has nothing on the original Neo Genesis Sneasel when you consider them in the context of their respective card pools. That being said, Psykicked is right to point out that they’ve improved it… in some ways. This one has some potential as a Counter Energy clutch attacker, or just a single-Prize clutch attacker in the right kind of [D] deck.